Lockouts! Nobody likes them, but everyone is experiencing them. With our assistance, you don’t have to worry anymore. We offer lockout service in Chestermere, Alberta. Our techs are responsive and offer service 24/7. Not only do we come fast to unlock your door, but also sort out any problem and ensure your property’s security is restored. Lost the key? Broken key in the lock? Damaged lock? Leave everything to Locksmith Chestermere. Save our number and call for 24 hour lockout services in Chestermere. Should such an awful moment arrives, you feel confident knowing that one of our experts will come to your rescue in no time. One of the reasons why you can trust our company to help you with lockouts is the fact that we are a locksmith near you. We offer emergency locksmith service 24/7. Our experts arrive in a jiffy. We bring all the right equipment for the job. All techs are qualified, trained, and devoted. We can open any locked door but won’t stop there. We will handle any lock or key issue. Need a house lockout service? Our tech will come to your assistance as soon as possible. By traveling in well-equipped work vans, we have everything required to pick locks and open doors in a jiffy. We will have you back inside in no time. And not just that. We will respond equally fast when you are in need of an office lockout service. In either case, our pros do what they must in order to fix the situation. If your office or house key is broken, we extract and replace it. We also take care of lock issues and will rekey locks should the key is stolen. Locked out of your business, industry, home, or retail store? Call us for commercial or apartment lockout service now. 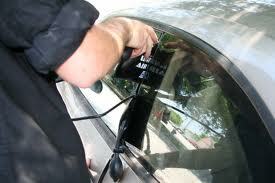 When it comes to a car lockout, depend on our quick arrival to your location. This is one of the situations when our high tech equipment comes handy. We utilize what we need in order to replace and program transponder keys, and help you with your high end car locks. 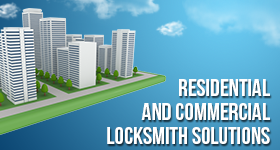 If you need affordable and trusted Chestermere lockout service, our company is the one to call. Keep our number handy and feel free to contact us 24/7.